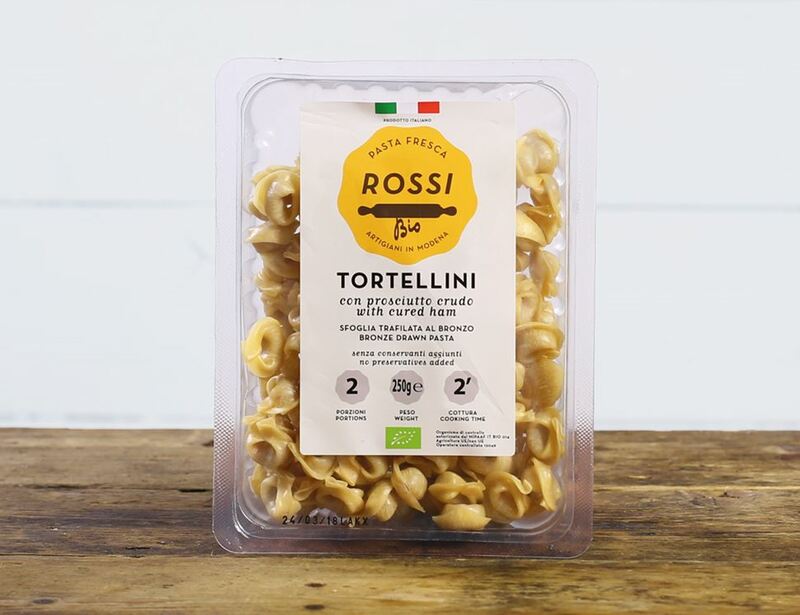 Stuffed with prosciutto crudo from Golfera, this authentic tortellini is made with only organic ingredients. It’s amazing as part of a classic Italian dish, boiled in chicken broth and sprinkled with Parmesan. Molto bene. * = produced to organic standards. For allergens, including cereals containing gluten, please see ingredients in bold. May contain traces of soya, nuts, celery, mustard, lupin and sesame. Keep refrigerated. Boil in salted water for 2 minutes, drain and serve. Suitable for home freezing. Try using with one of our organic pasta sauces. We guarantee a minimum of 7 days expiry, including the day of delivery.